Jerry Stewart, embarking on his driving lesson. 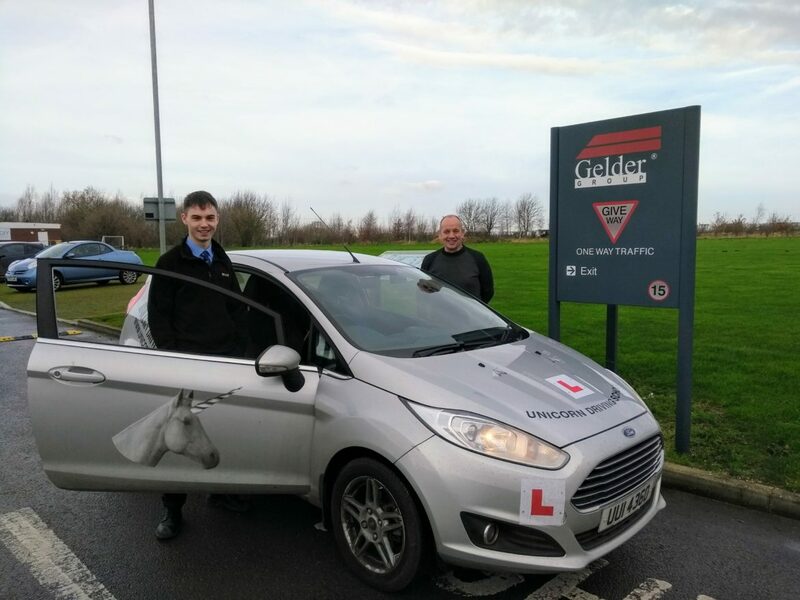 Learning to drive is one of the most important experiences in a young person’s development, and for those learning in the winter months the experience can be a daunting one, especially driving after work and in the dark. To assist one young learner, Rob Porter (Senior Quantity Surveyor) took the decision to allow Jerry Stewart (Trainee Quantity Surveyor) to undertake his lessons during working hours. I’m an experienced driver so I can appreciate that taking your initial lessons in the dark can be a scary experience, and also, we’d like to support the development of our younger staff members. It’s not regular practice for employers to allow driving lessons within working hours. Since working at Gelder Group I’ve found there’s a much more supportive attitude towards learning across the board. To join the team at Gelder Group, check out our current vacancies.